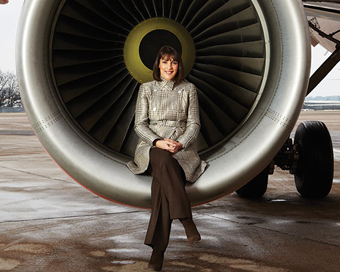 easyJet’s Chief Executive Office Carolyn McCall has been named Britain’s Most Admired Leader by Management Today. She is the first woman to receive the accolade in its 25-year history. Voted for by her (mostly male) peers, Carolyn received 8.02% of votes whereas the runner-up, Sam Wolfson, Next, received 4.9%. easyJet was ranked as the UK’s 4th Most Admired Company. She joined easyJet in 2010 and in 2013 the company entered the FTSE 100. In 2013, Carolyn led a rigorous evaluation process and obtained shareholder approval for the purchase of 135 Airbus aircraft. Prior to joining easyJet, Carolyn was Chief Executive of Guardian Media Group plc. She was also was non-executive director of Lloyds TSB (from 2008–2009) and was a non-executive director of Tesco Plc (2005-2008), and of New Look plc (1999-2005). She was Chair of Opportunity Now (2005-2009) and a former President of Women in Advertising and Communications London (WACL). The full Management Today list can be seen here.